PRICE ADJUSTMENT! Beautiful 2742 sf home located on one of the premier blocks in the Fan District, One block from Strawberry Street shops, restaurants, Scuffletown Park, Fox Elementary, and more. This elegant home maintains historical details and features 4 bedroom, 2.5 baths, a large living room with built-in bookshelves/cabinets, and newly refinished wood floors. Spacious formal dining room with tin ceiling and fireplace. Updated kitchen w/ granite countertops, stainless appliances, custom gas fireplace, vintage built-in diner booth, & pantry. Light filled Master suite w/ his/her built-in wardrobes, plantation shutters, granite vanity in master bath. The 4th bedroom currently being used as an office suite w/ built in desk and cabinets. Two staircases, newly installed HVAC, freshly painted, refinished floors, multiple attractive non-working FP’s, basement storage. Fenced landscaped backyard with private brick courtyard and 4 brick storage sheds. This is a rare chance to live the Fan life, walk to events, museums, parks and restaurants! All information deemed reliable but not guaranteed. Black mirror in upstairs hall bath doesn’t convey. Chimneys and flus offered as is. Please, send me more information on this property: MLS# 1904153 – $699,000 – 2322 Park Avenue, Richmond, VA 23220. 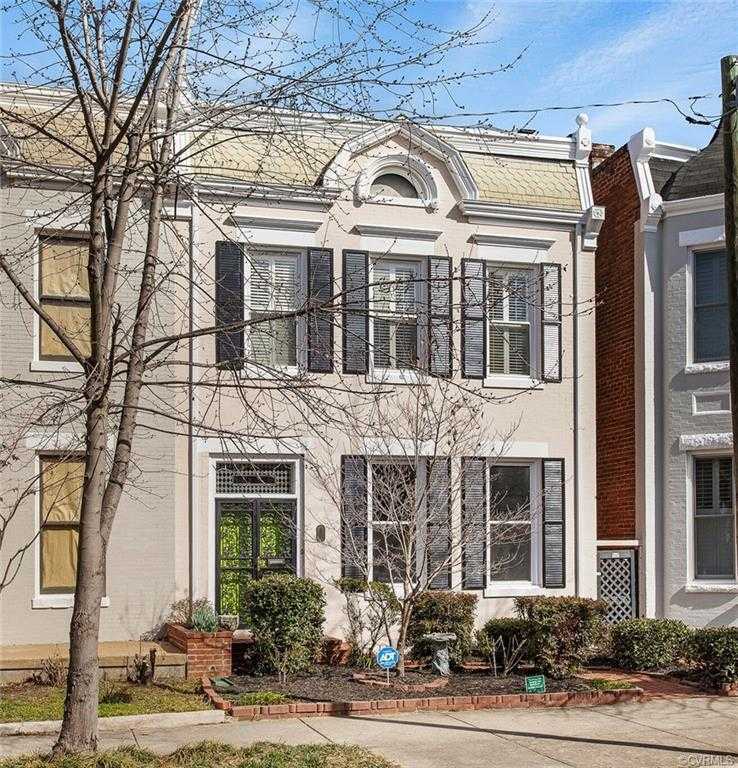 I would like to schedule a showing appointment for this property: MLS# 1904153 – $699,000 – 2322 Park Avenue, Richmond, VA 23220.